It can't appeal to just a handful of enthusiasts. Mitsubishi is climbing its way back from the brink these days, thanks to becoming a part of the Renault-Nissan alliance. Last year’s US sales were surprisingly pretty good and that was without the new Eclipse Cross crossover, which is now arriving in dealerships. , former Ram and Nissan executive Fred Diaz, reporting for duty this April. Things are certainly looking up. , possibly with hybrid assist, in the near future. Think of it as a reborn Montero. But we also asked Tsuneshiro Kunimoto, vice president and general manager of Mitsubishi design, at Geneva last week about the chances of the Evo returning. Now, before anything else, remember that the Evo-based Lancer has also been dropped, so a reborn Evo would require a new base sedan. There was some earlier talk of the Evo coming back as a performance crossover. “Because things are still new with the alliance, it’s not clear now (the future lineup). But I want to strengthen our image and brand heritage. We are thinking of our future,” Kunimoto-san said. Along with an SUV, performance is another example of the Japanese automaker’s robust and ingenious identity. So what about a new Evo? Could it happen? “It is still one of the opportunities to think about. We need to increase volume, therefore we need more (vehicles) in the lineup. But any new model must be marketable.” And therein, unfortunately, lies part of the problem. It’s hard enough selling sedans these days due to crossover popularity, let alone a high-performance, rally-inspired compact sedan. But our impression after speaking with Kunimoto is that nothing is off the table, but only if the bean counters deem it profitable. 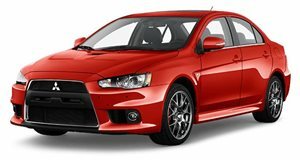 Niche vehicles like the Lancer Evo are definitely a harder sell, but Mitsubishi is fully aware of its heritage and the Evo is very much a part of that. For now, don’t hold your breath for a reborn Evo happening in the next year or so, but because Mitsubishi is in a far healthier place than it’s been in years, it sounds like it’s reexamining some previously dropped possibilities. Bottom line is that if it's determined to be both doable and profitable, Mitsubishi is open to bringing back the Evo. What Kunimoto refused to say, however, is whether or not an crossover-based hybrid Evo has been ruled out. 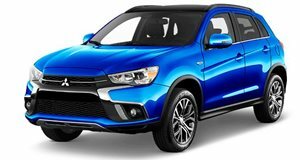 The Outlander Sport is a decent looking crossover, but does it have anything else going for it?